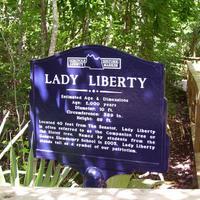 Located 40 feet from The Senator, Lady Liberty is often referred to as the Companion tree or the Sister tree. Named by students from the Geneva Elementary School in 2005, Lady Liberty stands tall as a symbol of our patriotism. Cook, Thomas. 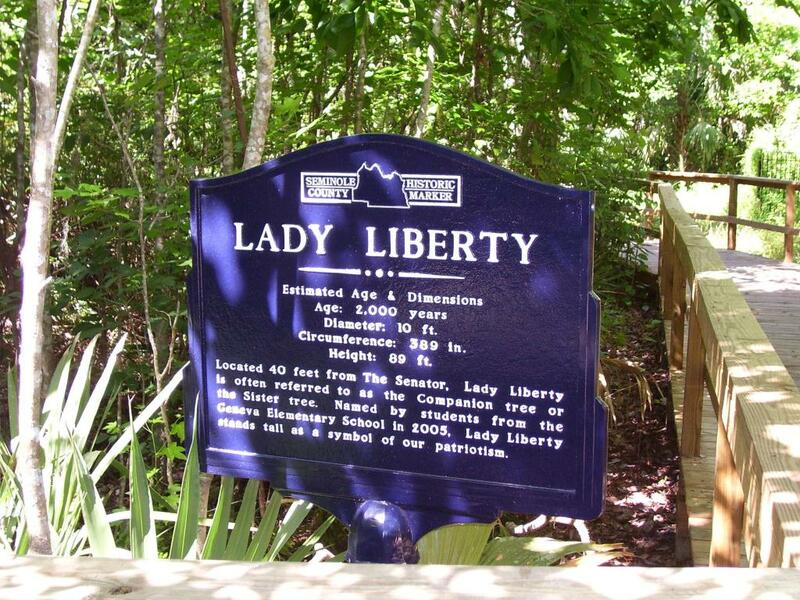 “Lady Liberty Historic Marker.” RICHES of Central Florida accessed April 21, 2019, https://richesmi.cah.ucf.edu/omeka/items/show/1208.